In the last 13 days I have only written one Glory Seed it seems that on September 24th while getting ready for church I reach in the closet for a shirt and CRACK! I suddenly “fell off the wall” and the resulting compression fracture left me with the most horrendous pain I’ve ever experienced left me unable to sit up long enough to do much of anything let alone write a Glory Seed. 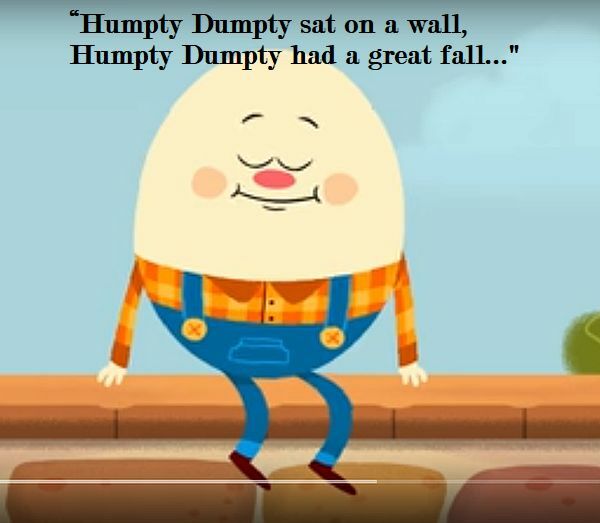 So, I did what every believer in Jesus does when they find themselves 1 step from being a scramble egg breakfast, I prayed, and in response I found myself living the Humpty Dumpty story. “Humpty Dumpty sat on a wall, Humpty Dumpty had a great fall; All the king’s horses and all the king’s men Couldn’t put Humpty together again… but God could and God did!” I know that’s not the way Mother Goose’s famous poem ended but those who have a relationship with Jesus and live with Him in their heart is how it will end! I know it’s true because He is in the ongoing process of putting me back together again. Crustyism 10.06… Jesus came to show that the Cracked can assuredly be un-Cracked!